Sign-up Now to Visit Us This Summer! Looking for the perfect summer camp for your child? We know that camp is more than just a nice website with some pretty pictures and a video, and the best way to be sure you’re going to get the sleep away camp experience you’re looking for is to see it in action! To that end, we created our Rookie Day program to give prospective campers and parents the opportunity to come and experience a day at THC first hand. Your child will begin Rookie Day by meeting some new friends and joining a group of same-aged campers for a day of activities. They’ll be fully integrated in our athletic clinics, games, electives and swim periods, giving them a chance to truly experience a day in camp. For parents, Rookie Day starts with a tour of camp, giving you a firsthand look at our facilities and programs. After your tour, we’ll host a Q&A session with our directors, Andy & Wendy, to tell you more about our program and answer any questions you may have. We’ll then send you off to lunch (on us!) while your child enjoys the rest of the day at camp. You’ll head back to camp at 3:30pm to pick up your child and hear all about their day’s adventures before heading back on your way home. 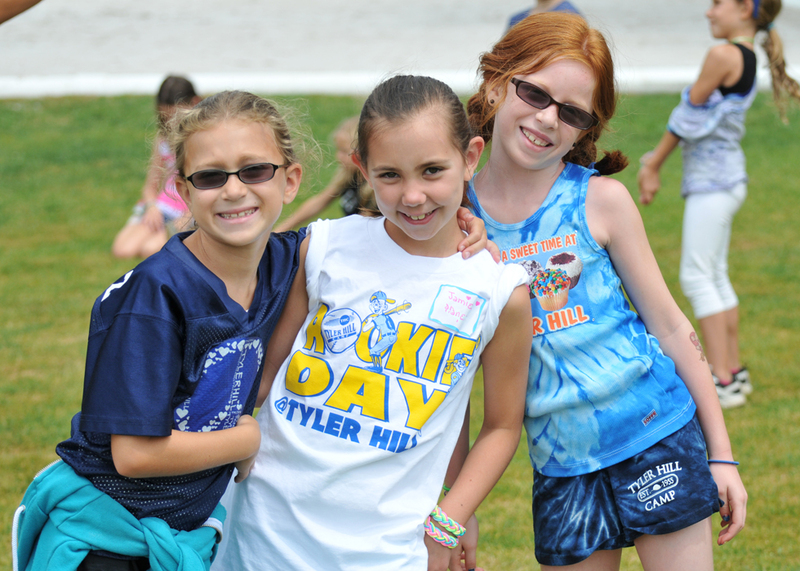 So, if you’re considering Tyler Hill for Summer 2014, now is the time to register for Rookie Day, or to schedule a tour. This year, we’ll be hosting two Rookie Days: Saturday, July 6th and Saturday, July 27th. You can download the registration form and get more information here. Space is limited, so register early! If those dates don’t work with your schedule, we’re also happy to schedule a tour of camp for your family! Contact the office at 516-656-4220 to set it up!